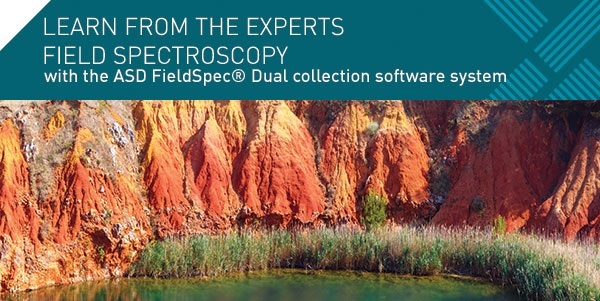 The FieldSpec Dual collection software system synchronizes two ASD FieldSpec spectroradiometers to collect spectra, eliminating errors with time varying atmospheric conditions in the field. This webinar focuses on the Malvern Panalytical ASD FieldSpec® Dual collection software system, application uses and value of use. Dr. Brian Curtiss is one of the founders of ASD and currently serves as Malvern Panalytical’s ASD Chief Technical Officer. He has over 30 years of experience in the fields of geology, spectroscopy and optical remote sensing. He received his Bachelor’s degree in Earth and Planetary Sciences from Washington University in St. Louis and his Masters and Ph.D. in Geochemistry from the University of Washington. In his current position, Dr. Curtiss applies his experience to the development of solutions to a diverse range of analytical problems in the areas of remote sensing and natural resources. William Oxford is the head of remote sensing at 2Excel geo. He has over 25 years of experience in military Intelligence, Surveillance and Reconnaissance (ISR) and civilian remote sensing research and development. Since joining 2Excel, he has led projects developing products in agriculture, forestry and the environment leveraging 2Excel’s airborne remote sensing platform. ASD FieldSpec instrument customers or prospects interested in learning about this analytical technique.